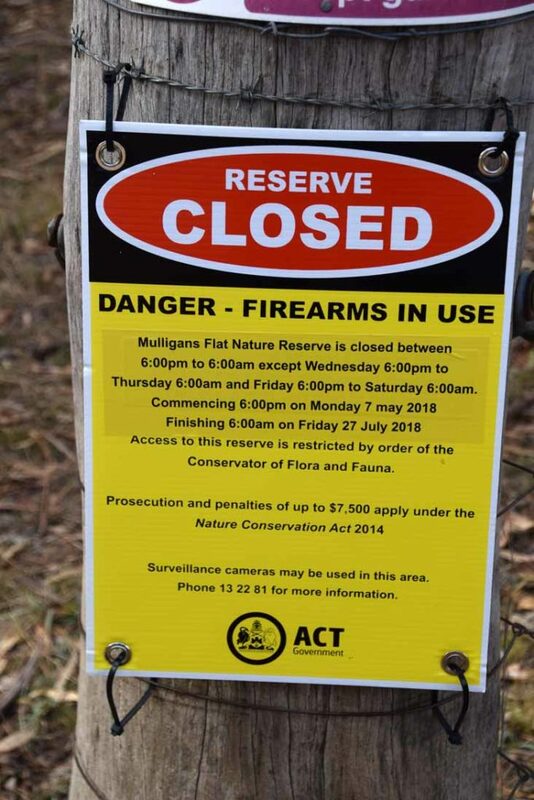 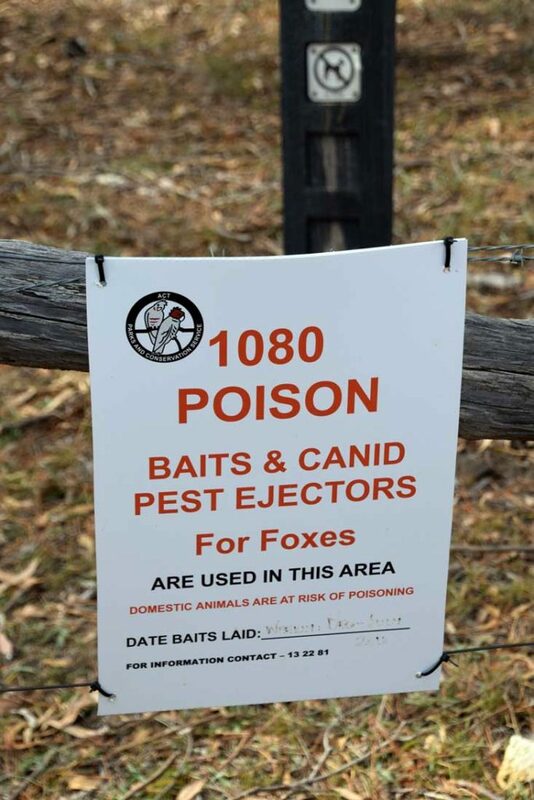 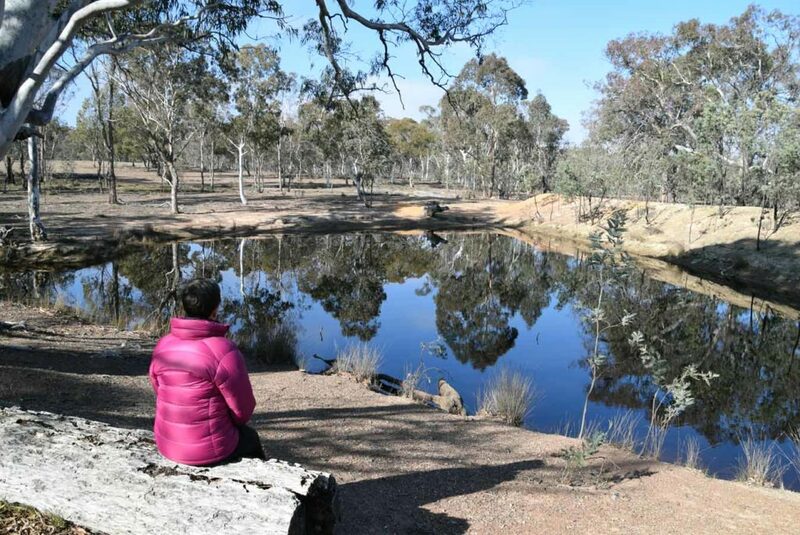 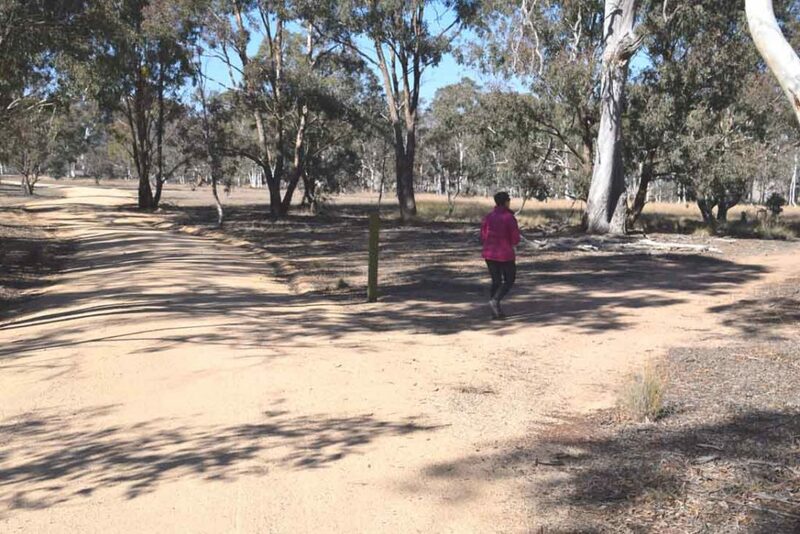 Mulligans Flat is a nature reserve on the outskirts of Canberra and an ideal choice to take tourists to see wildlife on the central and northern side of Canberra. 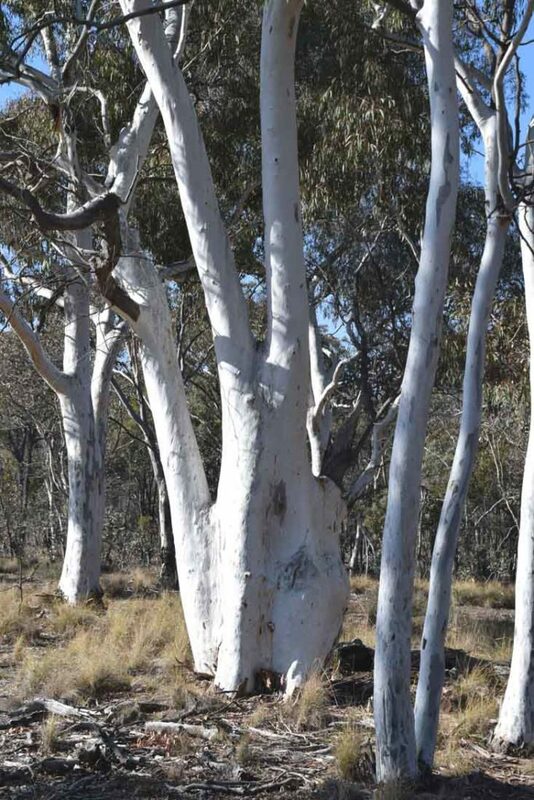 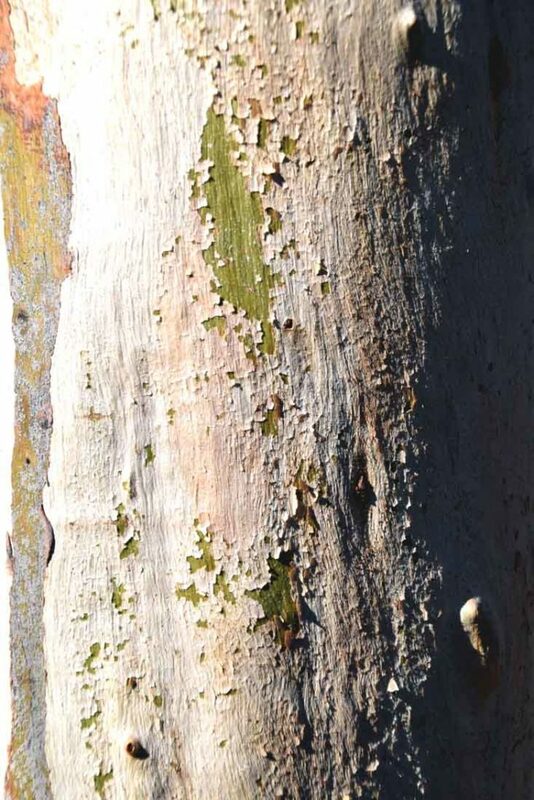 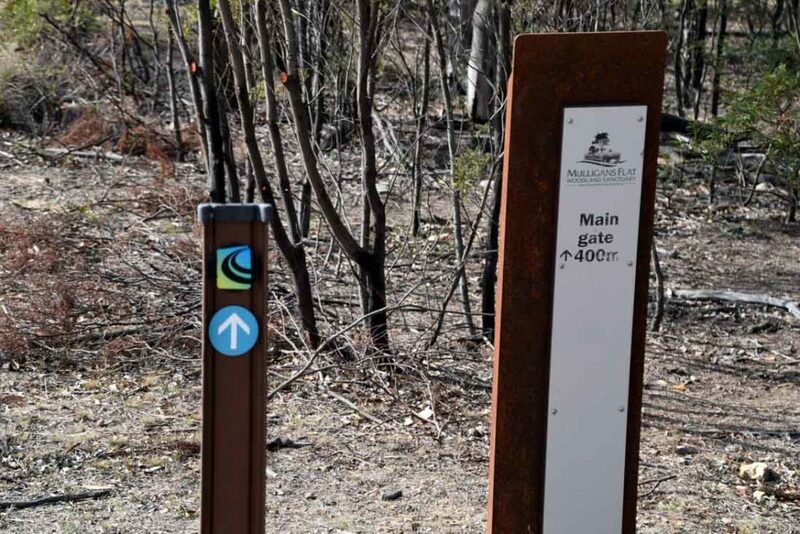 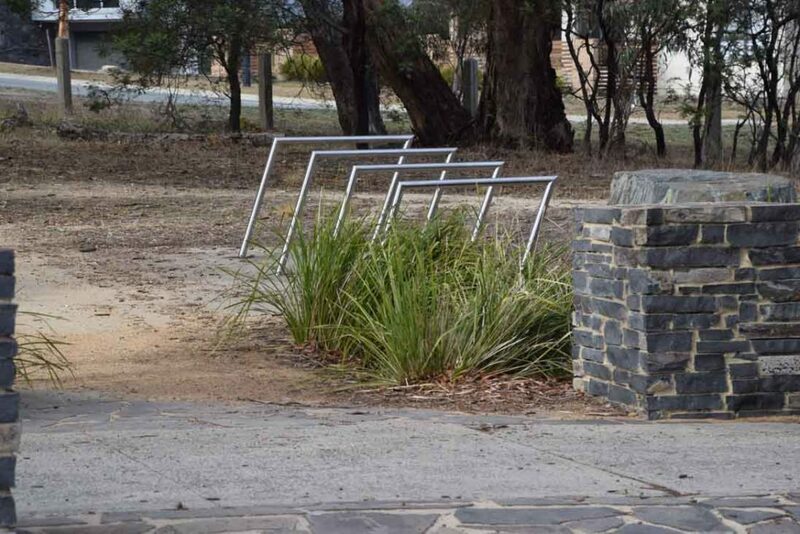 If you happen to be on the south side then look at the many options for walks available in Tidbinbilla Natural Reserve. 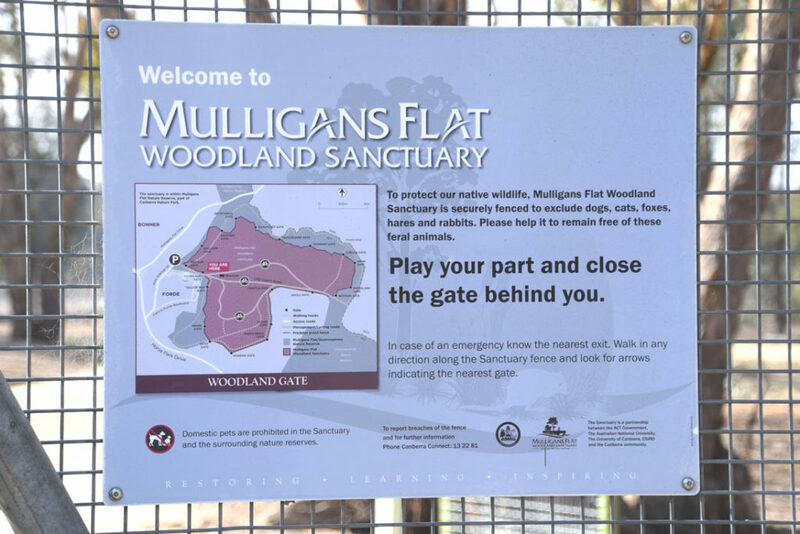 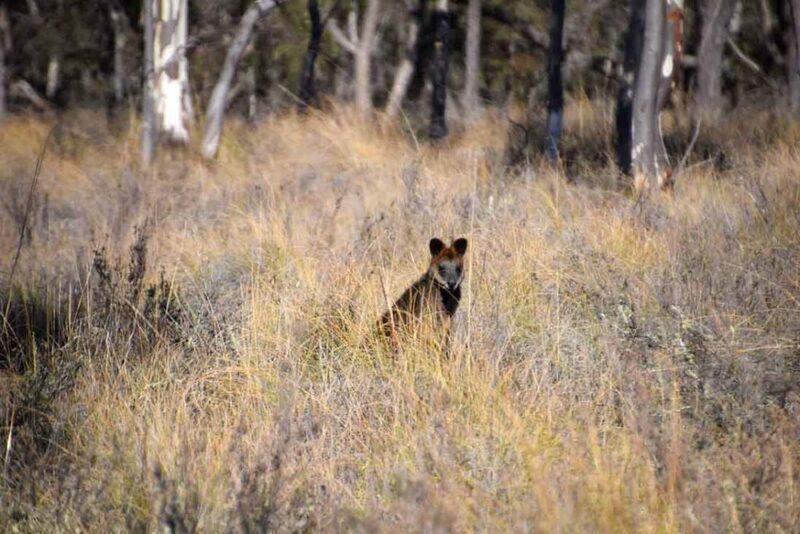 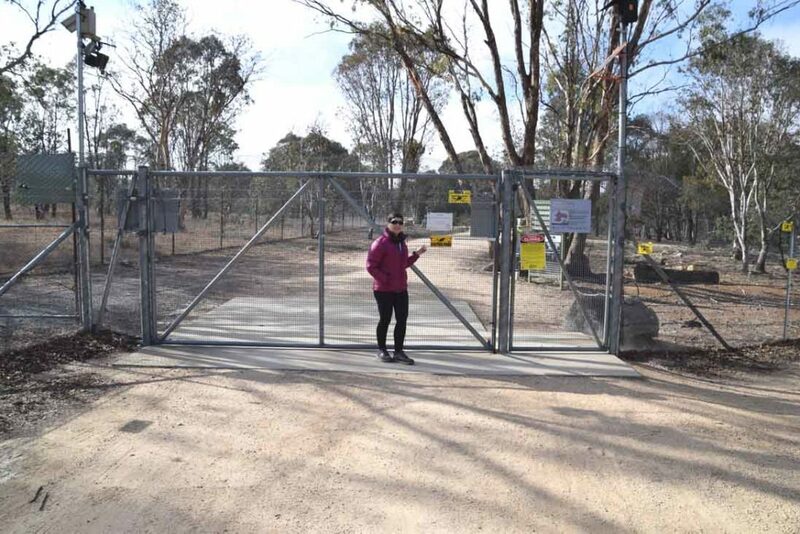 Mulligans Flat Nature Reserve is fully fenced and is designed to be Kangaroo, cat, fox, and dog proof to allow a number of smaller marsupials to survive and flourish. 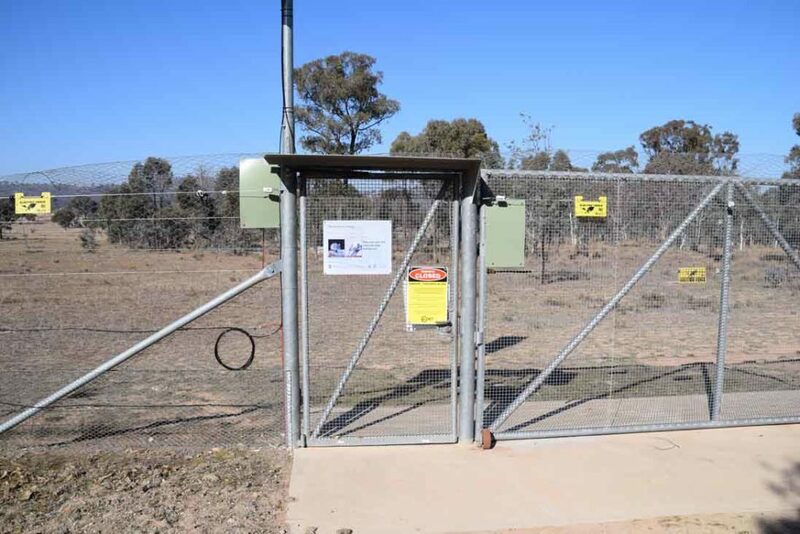 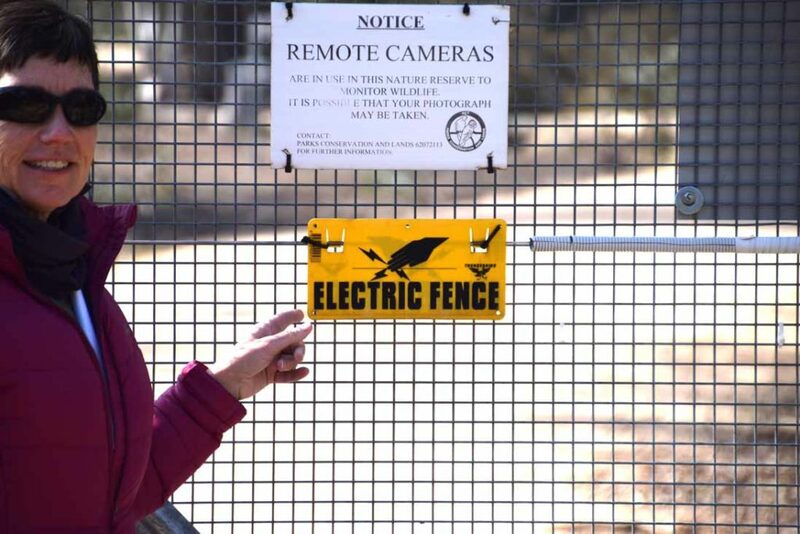 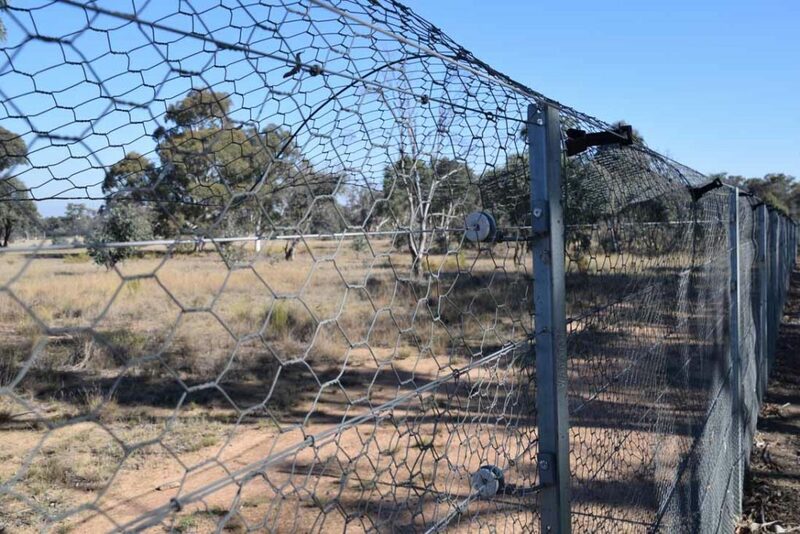 The outer fence of this reserve is electric and the gates are spring loaded to ensure that nothing that shouldn’t get it does. 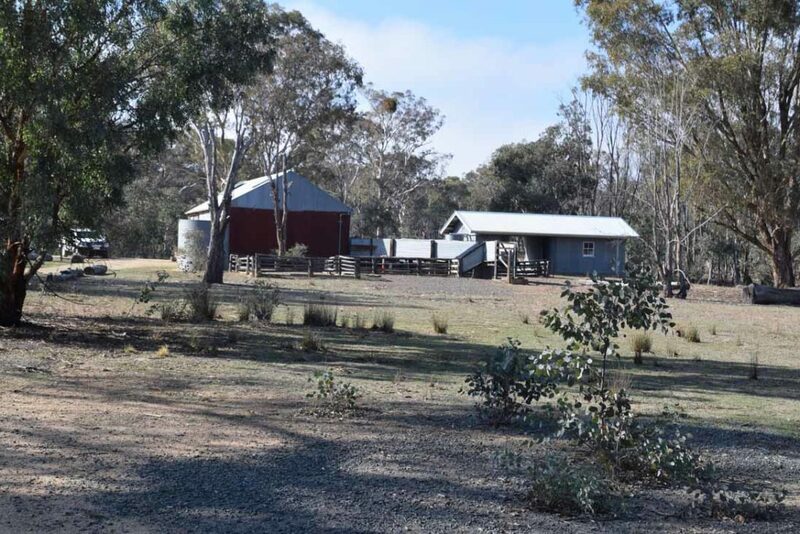 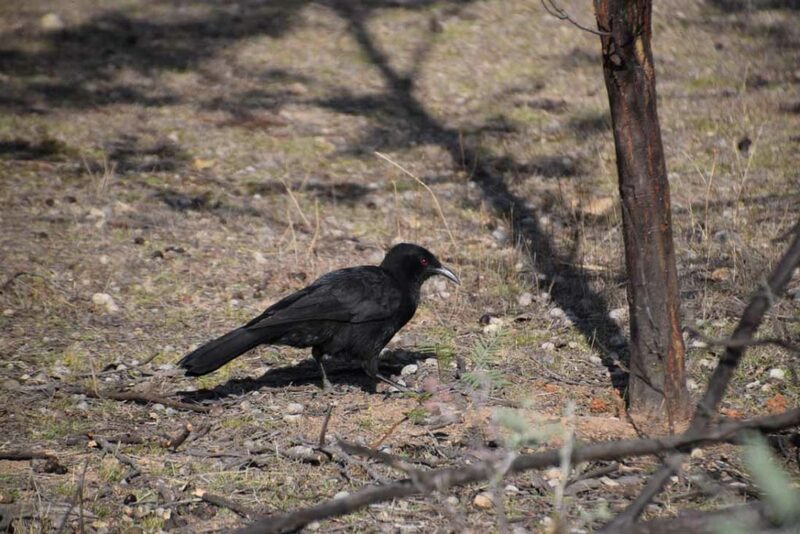 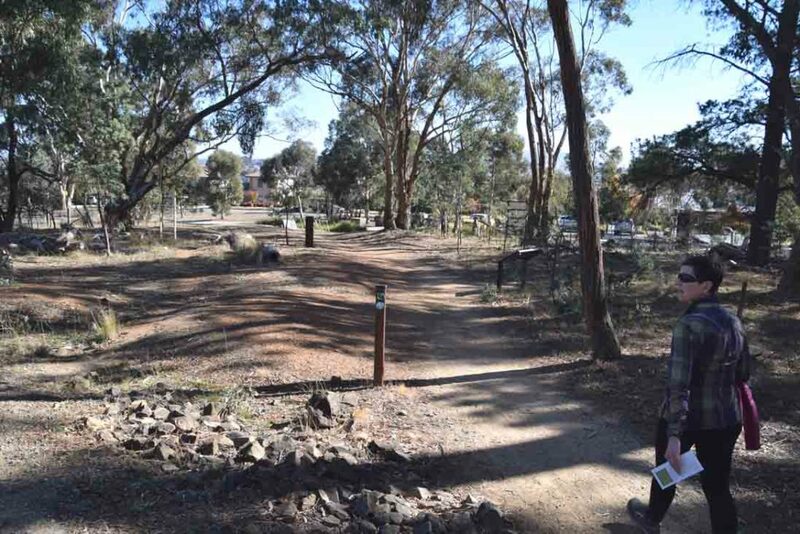 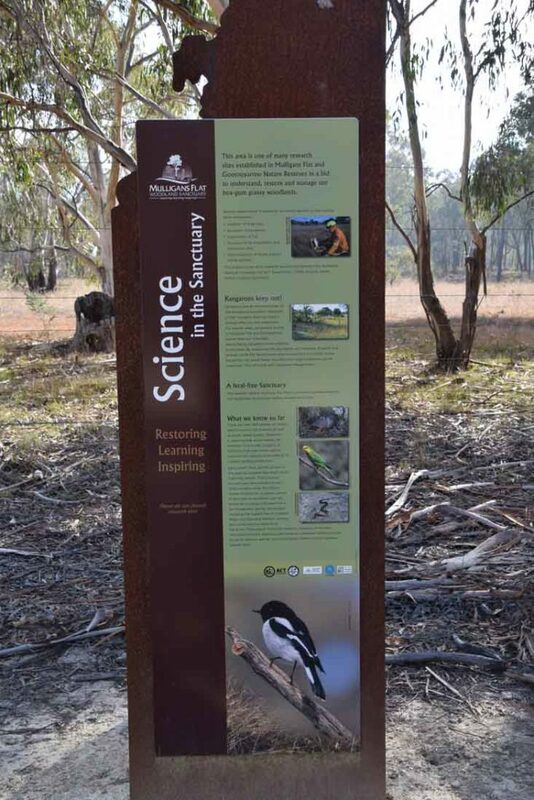 There are three main walks inside this nature reserve including the 12km Mulligans Circuit, the 11km Goorooyarrooo Track, and this walk, the Mulligans Bird Walk, which depending on your starting point is around 7.6km. 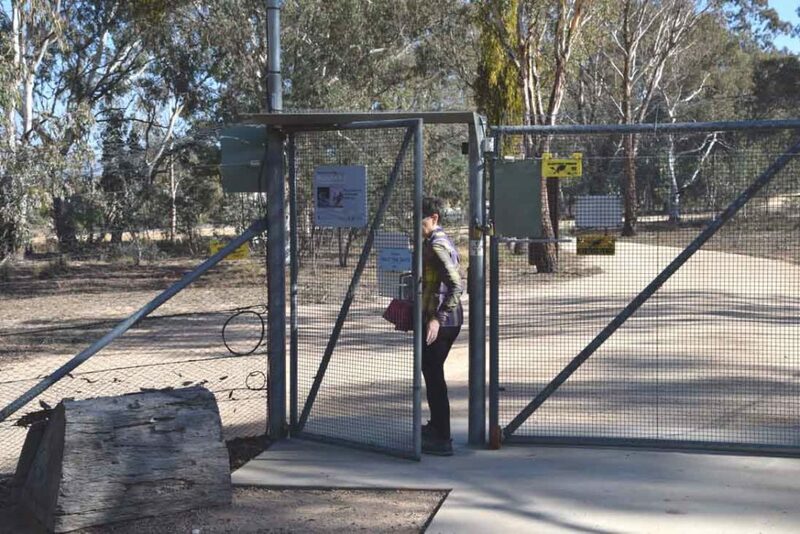 In addition there are another three walks located outside of the fenced area nearby: The Northern Campground Walk, the Walk from Forde to Hall. 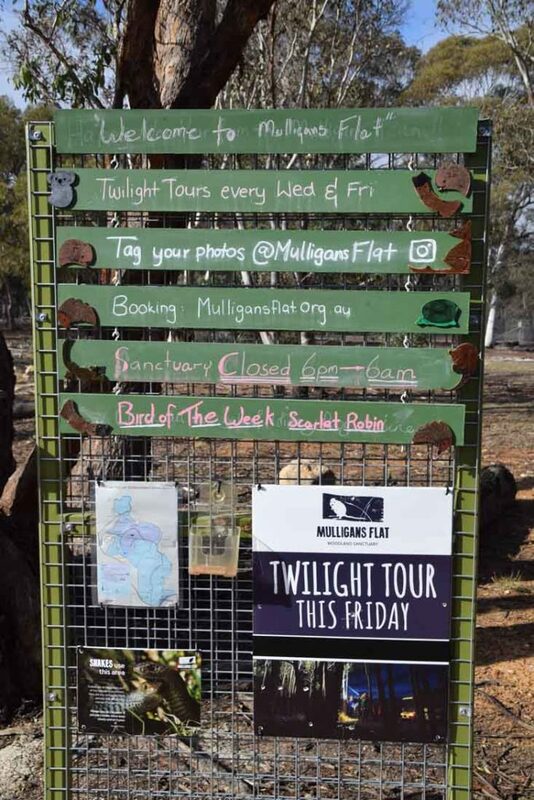 and the North Mulligans Circuit. 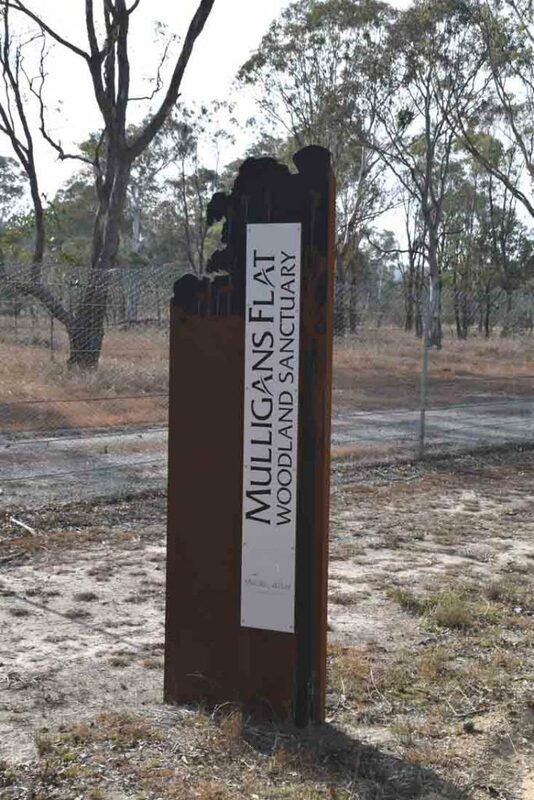 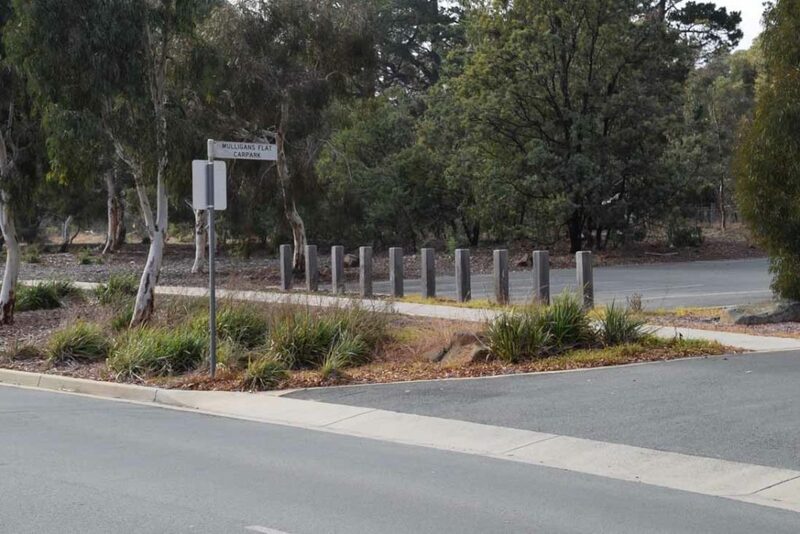 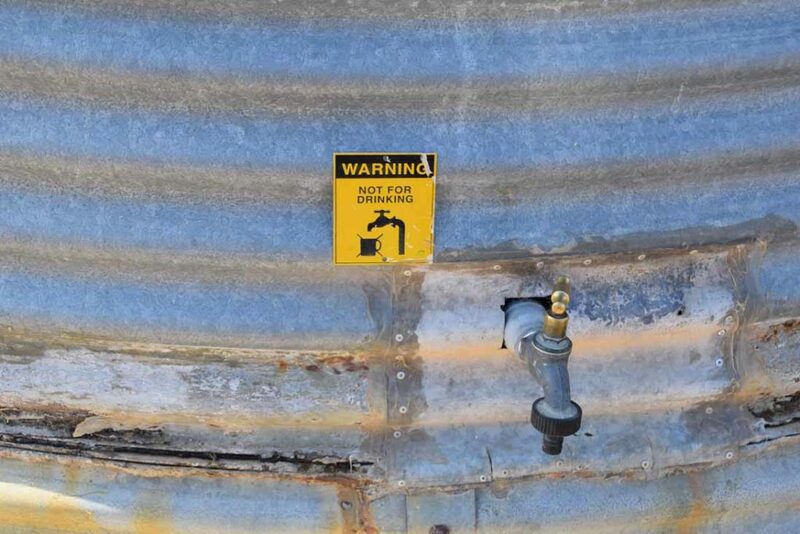 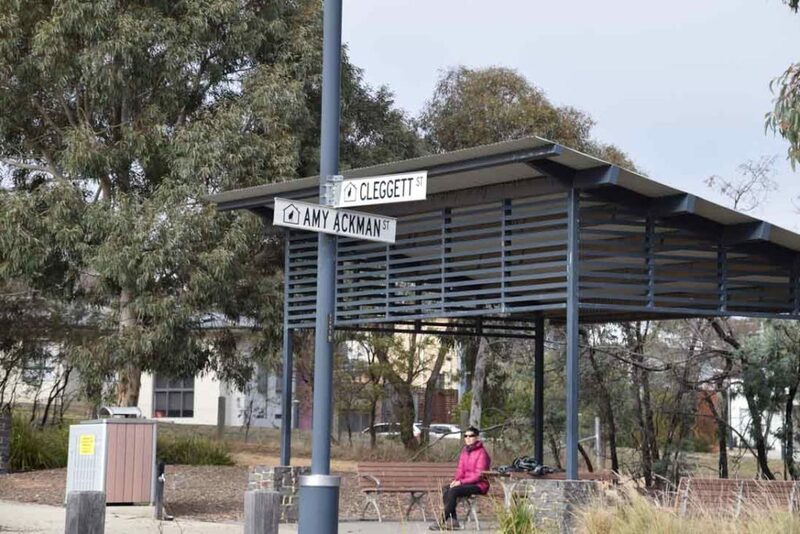 If you are driving to this site then you will start the walk from the Mulligans Flat car park which will add about 1.2 km in distance to the advertised walk length which is supposed to be around 6km. 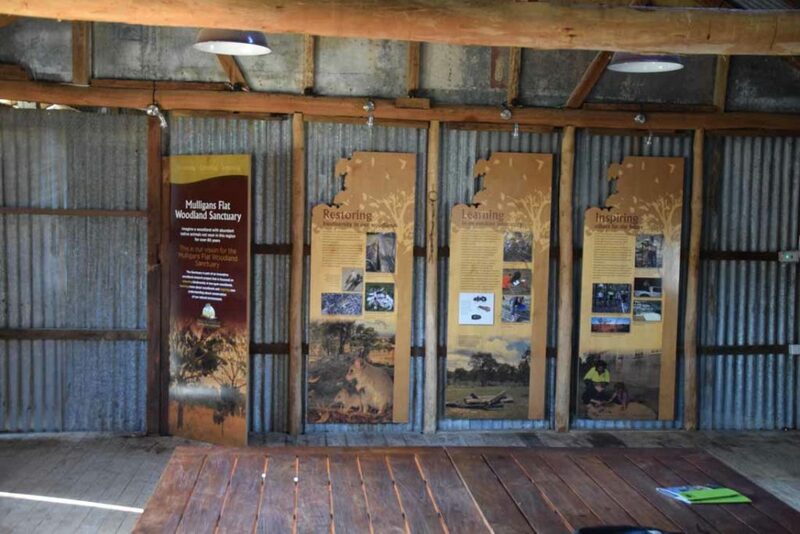 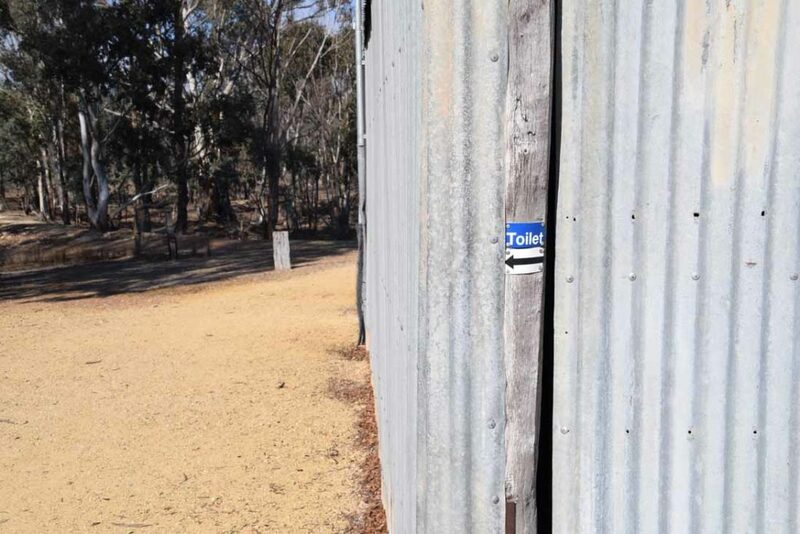 There is ample parking, a picnic shelter and water at the car park and in the reserve itself there is also a toilet located at the wood shed as well as descent interpreation signage as well. 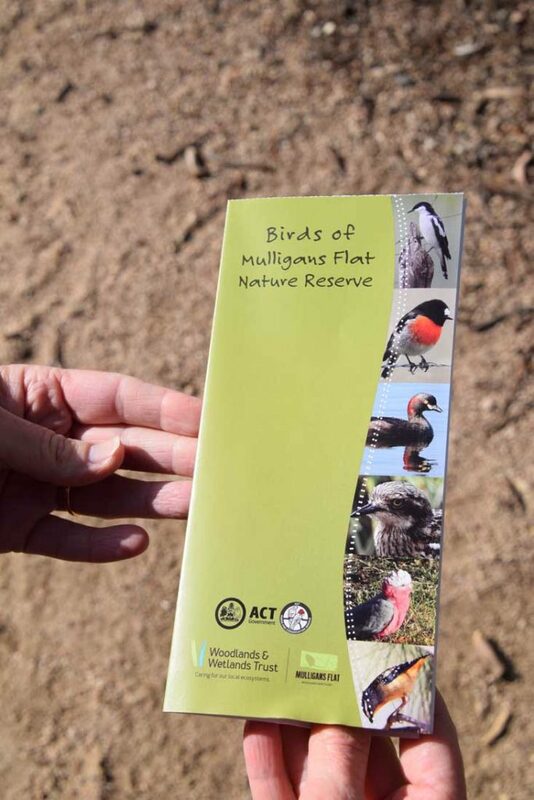 The Mulligans Bird Walk is shorter of the main walks within the reserve proper and as the name suggests is designed to get the best out of the birdlife. 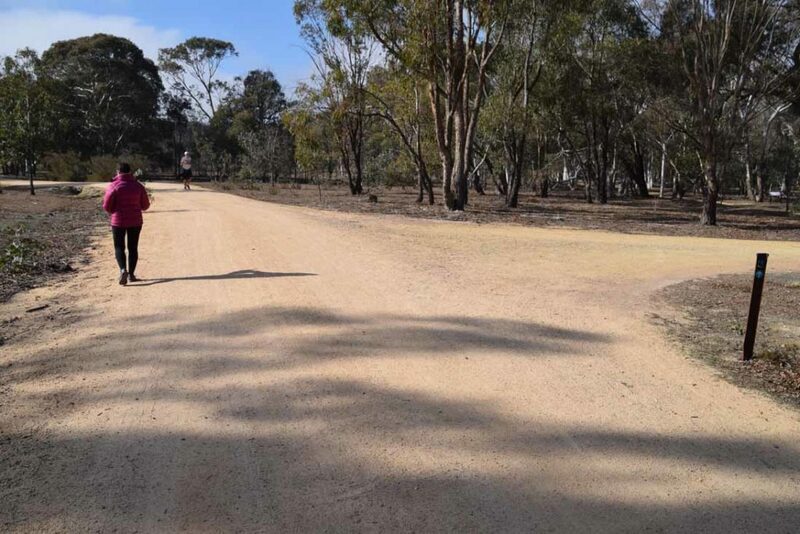 On the day we did this walk, mid autumn, we were having one of the driest starts to the year having had only 163mm rainfall so much of the birdlife has migrated into the city proper. 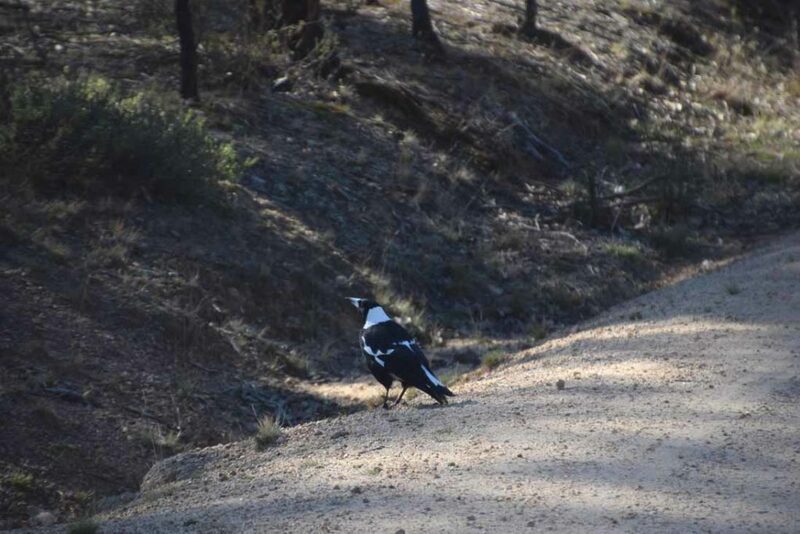 Having said that there was still plenty to see on this walk, both in the bird variety as well from the kangaroo family. 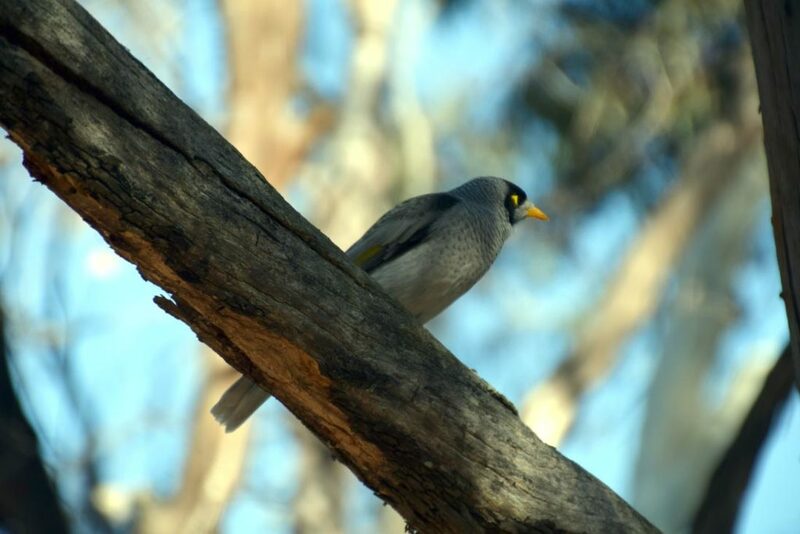 Gill and I aren’t that much into birds but we still enjoyed this walk and it was a good way to spend a morning. 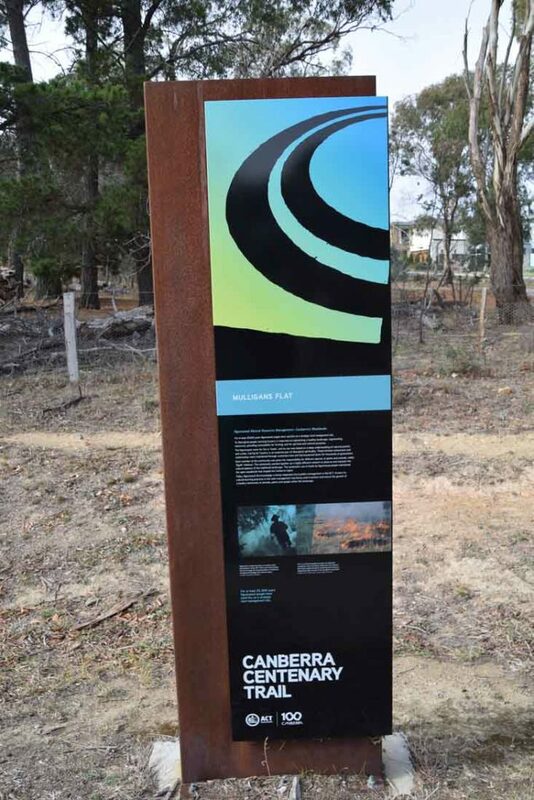 We did bypass the large dam section of the walk as it wasn’t obvious but if you are feeling so inclined then look for the signage to the main dam. 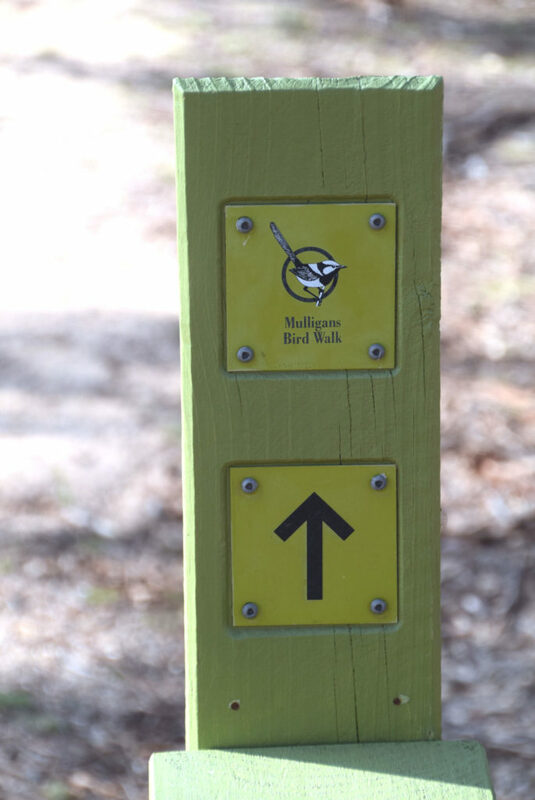 This walk is on formed management trail, has plenty of interpretation signage as you go as well as a walk brochure that you pick up at the start of the walk to help you with what you are seeing. 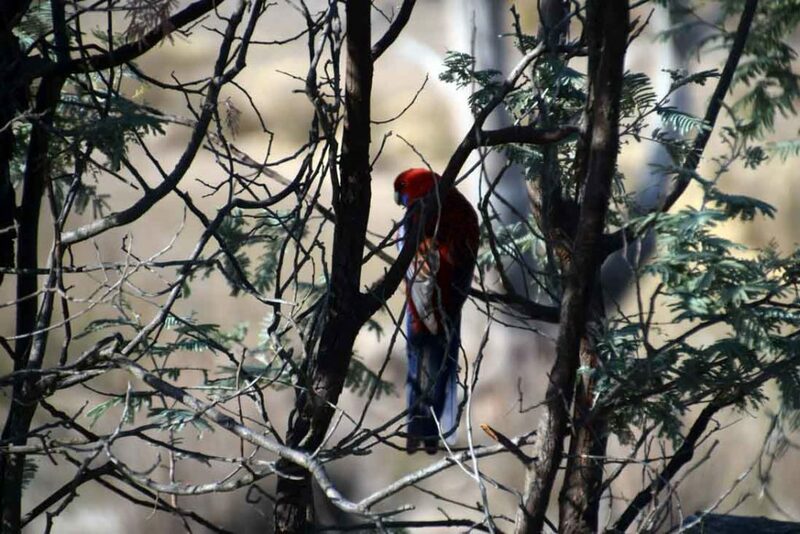 We saw a number of the more common birds and I must admit we tend to take them for granted when we see them in our front yard. 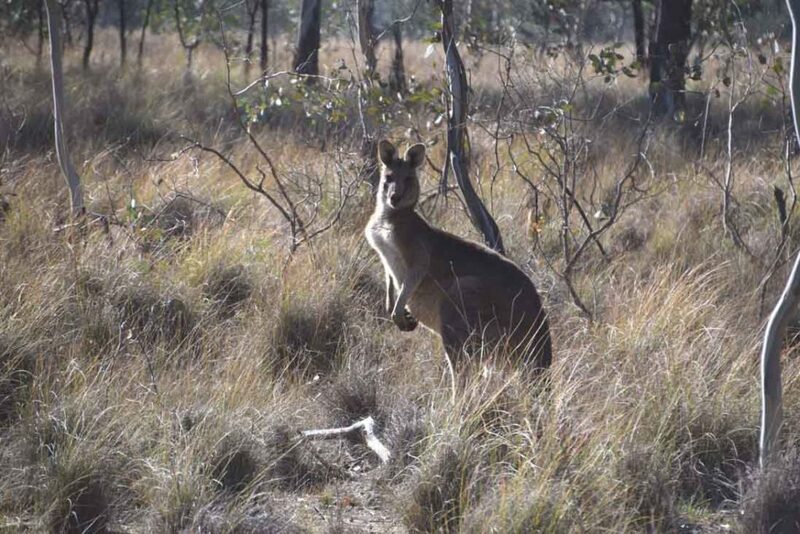 There were also lots of wallabies as well as some Kangaroos, although not in the quantity that you see in the unfenced section of the reserve across the road on the northern boundary. 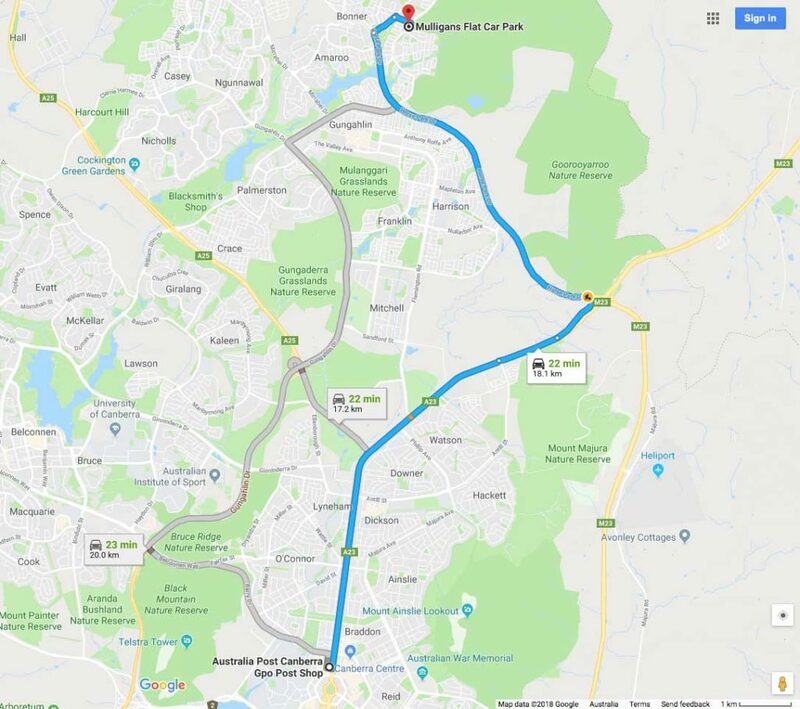 This is an easy to access walk and if you don’t feel like doing the full 7.6km distance just have a wander around an turn back at the appropriate point.